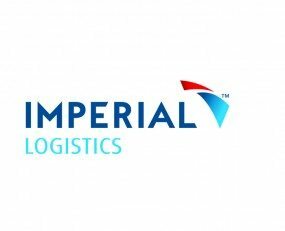 Imperial Logistics posted a revenue figure of ZAR*51,399m in 2017, having improved upon the previous year’s total by 1.5%. In addition, operating profit increased by 3.2%, reaching ZAR2,853m. These results were mainly caused by the solid performance from Eco Health in Nigeria, CIC in Mozambique, the inclusion of the Surgipharm acquisition and by the results from the automotive and international shipping segments in Logistics International. Its performance was negatively impacted by lower volumes and lower margin contract renewals in South Africa, weaker results at Imres, the loss of a large public healthcare contract in the Africas regions and poor results in the European inland shipping, retail & industrial businesses. The South African Logistics division managed to generate ZAR16,310m in revenue, a 1.1% decline year-over-year. The division’s revenue growth was led by the positive contribution from the Iturnele Bus Lines acquisition which was included for 12 months, and the disposal and closures of some smaller, strategically misaligned businesses in the current and prior years. As a result, operating profit increased by 4% in 2017 to ZAR952m. The African Logistics division managed to generate ZAR10,823m in revenue, an 8.8% increase year-over-year. Results were supported by the good performance of its healthcare business Eco Health in Nigeria and Ghana as well as by the growth in international shipping operations. Operating profit increased by 2.57% in 2017 to ZAR759m. The International Logistics division increased revenue by 0.4% to ZAR24,266m due to the growth in automotive contract logistics business, which grew new and existing business during the year. However, operating profit decreased by 0.9% to ZAR1,142m due to the political instability in Kenya and the over-investment in Eco Health.